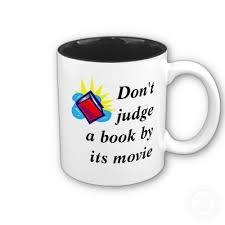 I am fortunate (or just indulgent enough) to be a book lover and a fan of cinema, and when I see a book translated onto the big screen, the obvious question I ask myself is, “Which version worked better for me?” And by and large, I have to say that I tend to side with the cow. This is a conclusion that never fails to surprise me, considering how much of a disadvantage books have, with their obvious audio-visual handicap. But what they lack in sound, music and visual spectacle, books often make up with their ability to appeal to our powerful imaginations. In addition, they cut out the middleman in the transmission of the message to the reader — and not let a director or screenwriter or a gaggle of actors interpret the book for us. We get the story straight from the author, with a chance to understand and imagine it in our own individual ways. There are exceptions, of course — and one genre of story-telling that seems to benefit from the big screen is the grand historical epic with sweeping scale, luscious cinematography, orchestral music, and scene-chewing acting. Think Gone with the Wind, The Last of the Mohicans, Dr. Zhivago, or The Bridge on the River Kwai. This got me thinking about my particular favorite shelf in the library of world fiction — historical mysteries. I was convinced I would be able to rattle off a half-dozen book-to-movie examples from this genre, but to my astonishment, I drew a blank. A few Internet searches later, the landscape looked about as deserted as it did before. Could it be that our precious corner of the bookstore doesn’t have anything to show for itself in the multiplexes? Some of the answers I came up with, while they were excellent movie adaptations, would have been a stretch to include under the “historical mystery” heading. Murder on the Orient Express? The Maltese Falcon? Gosford Park? LA Confidential? Maybe, but not quite. To merit the “historical” adjective, I submit that we need to put at least a century or two between us and the setting of the story. One terrific adaptation that does fit the bill, though, is Umberto Eco’s The Name of the Rose. 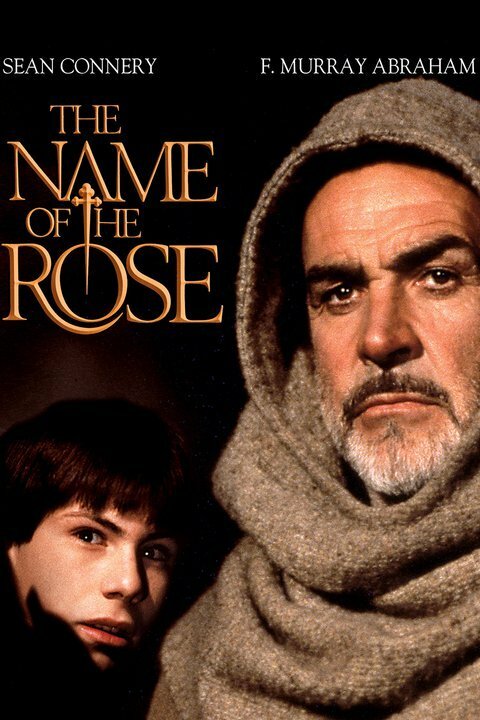 Set in 14th century Italy, it tells the story of William of Baskerville (a Franciscan monk from England, played by the incomparable Sean Connery) and his apprentice, Adso of Melk. The two monks arrive at an unnamed abbey in the north of Italy for a tour of monastic duty, as it were, but soon find themselves caught in a medieval tangle of murders, church politics, and a visit by a Grand Inquisitor. In accordance with the setting, the rest of the story unravels in a maze of dimly lit passageways, hidden staircases, secret messages and invisible ink. What makes both the book and the movie so riveting is the web of erudition that Eco weaves around what seems like a straightforward whodunit plot. The background of church conspiracies, the Avignon papacy, the use of heresy as a tool of oppression, and the advent of technological innovations like eyeglasses and gunpowder provides rich context for the story — much of which is ably captured in the movie version. I recommend reading the book first and then watching the film adaptation — and as always, I’m interested in all of your opinions, especially about which version is better. Who knows — the cow in the joke might be on to something!